The City of Montreal bills the project as the "most ambitious environmental rehabilitation project ever undertaken in an urban area in North America." 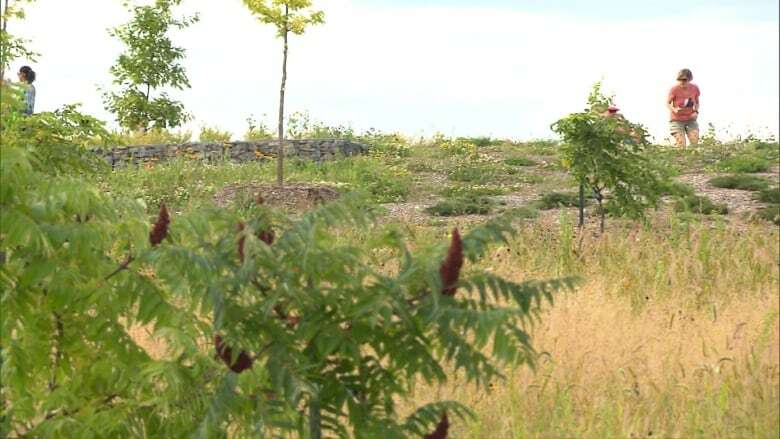 The city is calling it the "most ambitious environmental rehabilitation project ever undertaken" not just in Montreal, but in an urban area in North America. 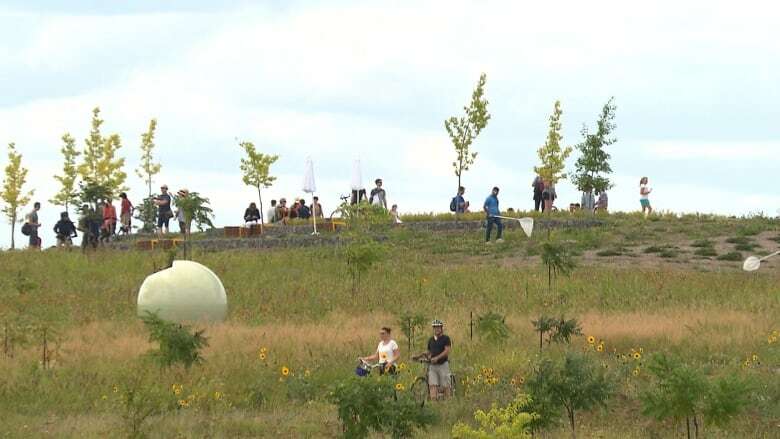 It's a plan that's been years in the making, to convert the former landfill at the Complexe environnemental Saint-Michel into a sprawling urban park. "It's going to be our Central Park — it's bigger than Mount Royal," said Montreal Mayor Denis Coderre. The entire complex is comprised of 192 hectares of land, 153 of which will be transformed into park space. Citizens of the Villeray-Saint-Michel-Parc-Extension borough were treated to a festive inauguration of the Frédéric-Back park, named for the Montreal artist and Oscar-winning filmmaker who died in 2013. Coderre told reporters Saturday that the project came in under budget at $27.2 million. The space, located just off Highway 40 at the corner of Papineau Avenue and Crémazie Est Boulevard, sits on top of 40 million tonnes of garbage. Work on the newly minted park has already begun and that it's slated to open several years down the line, according to Coderre. It's being financed entirely by the city as one of the 375th anniversary infrastructure projects. Zorica Simovic, who has lived in the area for 22 years, told CBC she's pleased this dream is finally turning into reality. "I'm really happy that, finally, this humongous area is made into something very beautiful," she said. "And I'm sure that all my neighbours, including the whole of Montreal, will enjoy this area." The complex is already surrounded by 5.5 kilometres of walking and cyclist paths, opened in 1996. As part of the renovation, the city plans to transplant 78 mature trees and plant 2,100 new ones as well 8,200 shrubs. The plan also includes a wooded area about the size of 22 football fields and the construction of a belvedere lookout point. Despite the greenery, there's still evidence of the park's past, and the garbage that was buried there. 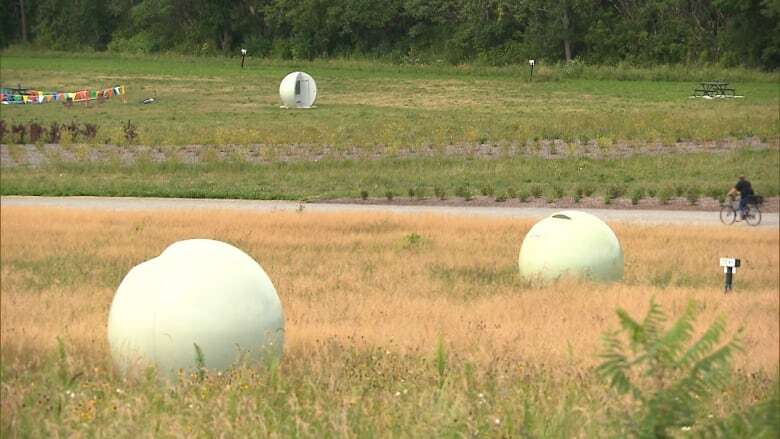 Newly-installed spheres are positioned throughout the space to cover wells of bio-gas, given off by the trash. A 17-kilometre network of underground pipes brings the gas to a pumping station. A city official says it's then burned to produce electricity, which is sold to Hydro-Quebec.